Lisa Walker, @lisalovesbalayage, teaches her techniques to students during her Balayage Bootcamp class in Chicago. Hair colorist Lisa Walker, @lisalovesbalayage, draws an audience with her outgoing personality and mad color skills—her Instagram name says it all. 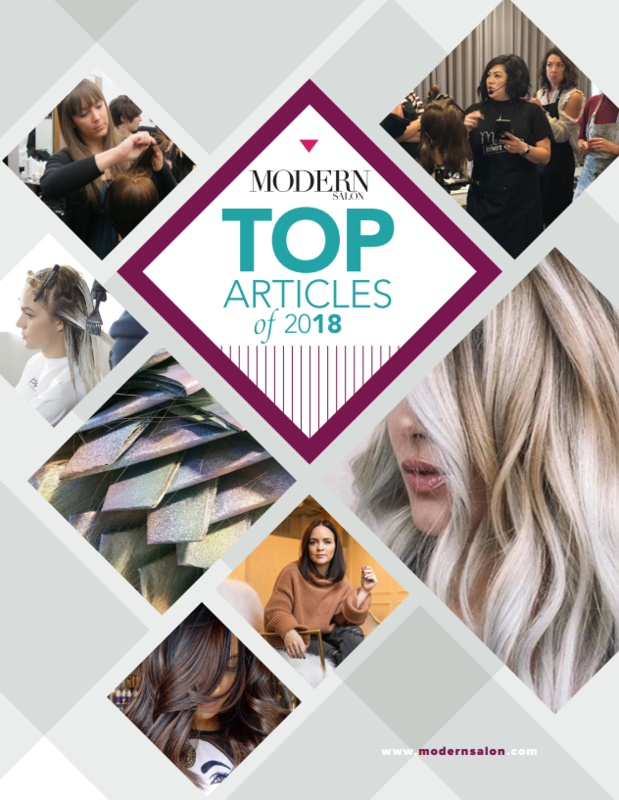 And MODERN is certainly a part of her fan club (we named her in our top 100 gamechangers of 2017). The artist is also traveling the country with her Balayage Bootcamp and teaching other artists her techniques and tips. Here, Walker shares five tips for a successful consultation. Do a strand test. If a client comes in with a photo that is of a person with a different color and texture, ask them to find a picture of someone with a similar base and texture that they have. It's also important to show a client what might and might not work with her hair by showing a strand test. We tend to over promise and under deliver, but it should be the opposite. Be mindful of your capabilities and the realistic results that are able to be produced in one session. Don't promise a dark-haired client bright blonde hair if it can't be done in one session or something that might damage the hair in the long run. Give them the look over the technique. A client might come in asking for balayage, but if the look she desires is better achievable through foils, explain that and use the technique you know will most effectively produce the desired final look. Price must be discussed. Be open about pricing from the beginning. Walker explained the situation like this "You wouldn't show up for my class without knowing how much it cost to attend. What if you got here and didn't have enough money. Or you didn't think I was charging enough. You owe it to your clients to be honest about pricing and what they can expect." She also noted that although some stylists prefer to work within a client's budget, she prefers to fill her chair with clients who can pay the prices she has set. Match their attitude. If a client comes in calm and serene, act the same way back. But if a client comes in demanding with a strong attitude, make sure you also have a strong, confidence attitude so you can be realistic about goals and show your expertise. The Secret to a Full Fishtail Braid? Hair Extensions!